CARE BEARS 1975 Multi-Cel Setup of Two Care Bears in the Clouds. Presented on Its Key Master Background. 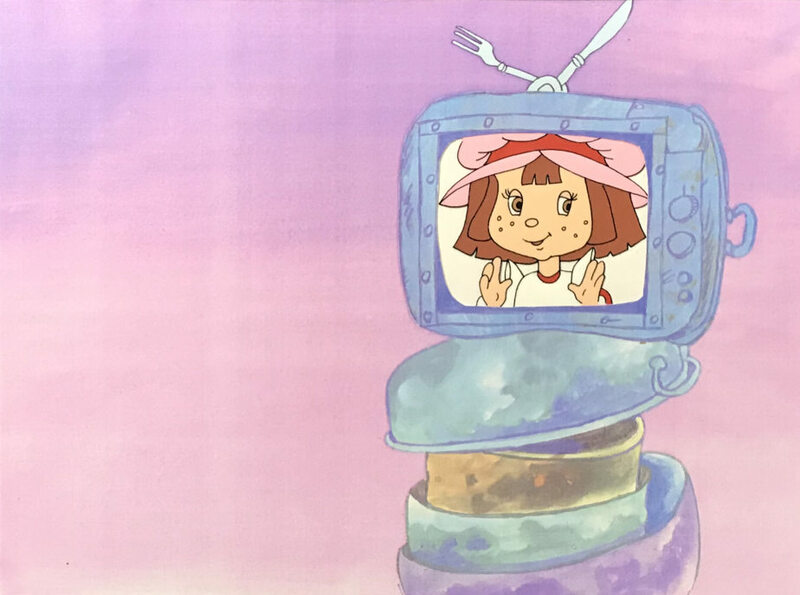 STRAWBERRY SHORTCAKE-WATCHING TV 1975 Two-Cel Setup from the Popular 1970’s Strawberry Shortcake TV Show of Strawberry and Pieman. Presented on a Color Laser of the Key Master Background. HAMMERMAN 1991 Production Cel of Hammerman (M.C. Hammer) and his Little Friend Presented on a Color Laser Background. 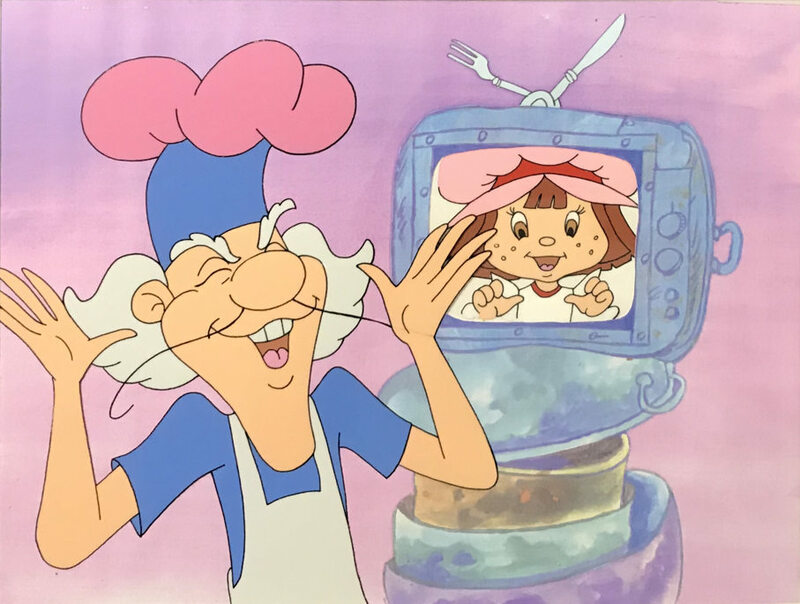 INSPECTOR GADGET SAVES CHRISTMAS 1992 Production Cel of Inspector Gadget Presented on a Color Laser Background. Two-cel Setup from the Popular 1970’s Strawberry Shortcake TV Show of Strawberry and Pieman. Presented on a Color Laser of the Key Master Background. DENNIS THE MENACE Production Cel of Dennis and his Dog Presented on a Watercolor Production Background by Basmajian Productions. 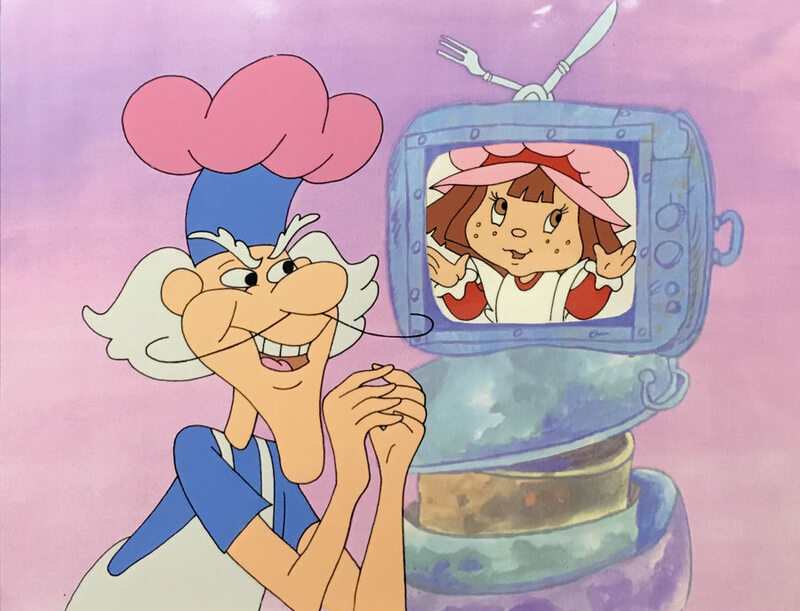 CARE BEARS 1975 Production Cel of One Care Bears Character. 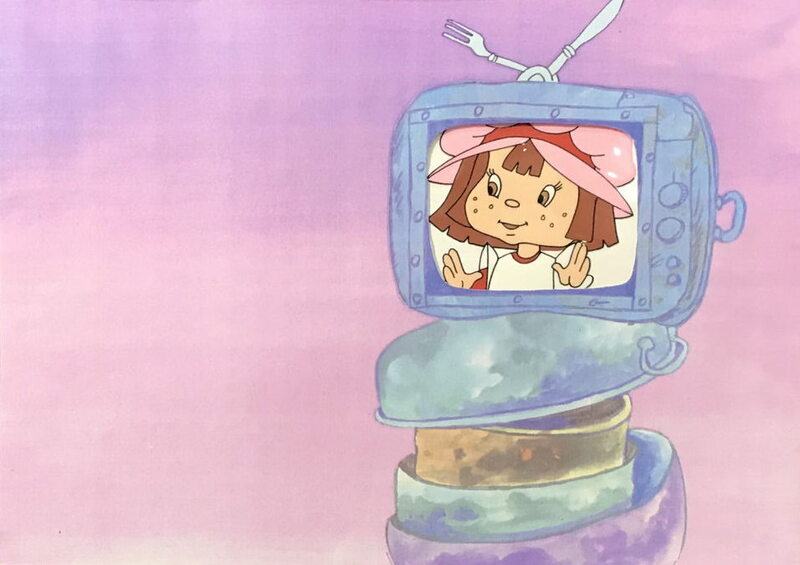 Production Cel Setup from the Popular 1970’s Strawberry Shortcake TV Show of Strawberry in the TV. Presented on a Color Laser of the Key Master Background. 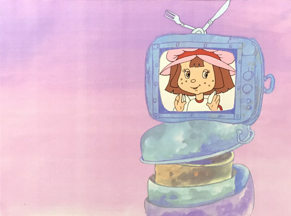 STRAWBERRY SHORTCAKE-WATCHING TV 1975 Production Cel Setup from the Popular 1970’s Strawberry Shortcake TV Show of Strawberry in the TV. Presented on a Color Laser of the Key Master Background. CARE BEARS 1975 Production Cel of Two Care Bears Characters.